Once you have selected the perfect marble, quartz, or granite kitchen countertops for your newly renovated kitchen, the next important remodeling decision you have to make is choosing the perfect kitchen sink. Sinks are an important, often-overlooked, part of the kitchen. Apart from showers and bathroom sinks, the kitchen sink is one of the most frequently used fixtures in a household. We use sinks for preparing delicious meals, cleaning up dirty dishes, and even for drinking water. Therefore, it is important that aside from the aesthetics, homeowners will want to choose a sink that is durable and functional to their lifestyle. However, choosing the perfect kitchen sink can be a challenge and often overwhelming. 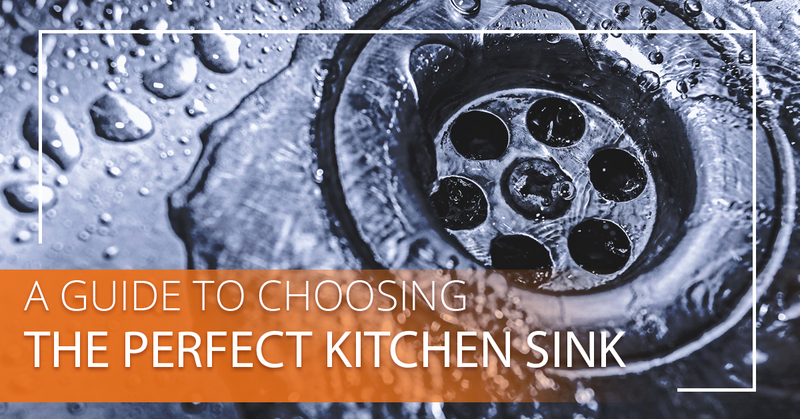 To ensure that you pick the kitchen sink that is best for you during your home renovations, we put together a handy guide for when you are trying to figure out which style and type is right for your kitchen. There are plenty of reasons why homeowners choose to upgrade their sinks. If a current kitchen sink shows visible wear, rust, or damage, replacement is usually the best solution. However, there are other reasons why homeowners consider installing a new sink in their new home or when they are renovating their kitchen. Check out some of the most common reasons homeowners choose to upgrade their sinks. Can you relate to any of the following? The sink is not the right size. Kitchen sinks generally range from 30 inches to 60 inches in width and six to 12 inches in depth. Having a large sink in a small kitchen, or a small sink in a large kitchen is bound to cause issues. Homeowners tend to be happier when their sinks dimensions go along with their kitchen habits. The sink does not have enough bowls. When it comes to kitchen sinks, homeowners usually choose from single, double, and triple bowl sinks. Each has its own advantages and disadvantages, but upgrading to a sink with more bowls can make a huge difference. The sink does not have enough accessories. Sinks can be manufactured with one to five cutouts available. Cutouts can be made for a water sprayer, integrated soap dispenser, filtered water dispenser, and other accessories. The sink does not fit with countertops. While there are plenty of benefits to getting new kitchen countertop installation, an existing kitchen sink won’t always be a good fit. If a kitchen remodel involves installing new countertops, it is best to install a sink that fits well with the new countertops. The sink does not match aesthetics. Kitchens are full of aesthetics, and having an old and worn sink is a good way to throw them off. Kitchen styles range from traditional, modern, and Victorian, to contemporary, Mediterranean and rustic — having a kitchen sink that fits a kitchen’s design scheme is a sure way to increase your kitchen’s aesthetic appeal. If you are considering a new sink in your kitchen, it is important to consider the style of your kitchen, the color of the cabinets, the countertop material and color, and other aesthetic-enhancing areas. For homeowners that are undergoing new construction or a kitchen remodel, their choices are pretty much unlimited. However, if you are replacing a sink in an existing cabinet, you will be limited to the size, style, and material that you can select for your kitchen sink. The style and functional features of each kitchen sink are important to consider in choosing the right one. If you aren’t sure which sink is best for your kitchen, check out some of the most common sink styles for homeowners. Drop-in sinks are one of the most popular styles of kitchen sinks among homeowners and remodeling contractors. With drop-in sinks, the weight of the sink is supported by a rim that rests on top of the countertop surface when it is installed. The sink comes in a variety of materials, such as porcelain and cast iron, however, stainless steel drop-in sinks are generally the most common choice among homeowners. Many homeowners prefer drop-in sinks due to their affordability, durability, and ease of maintenance. The installation of an undermount kitchen sink involves an opening that is made in the countertop to precisely fit the sink underneath. This is becoming a popular style in numerous kitchens and is mostly preferred by homeowners due to its modern, seamless look and because it provides for easy cleanup. Many people have undermount sinks installed with granite or marble countertops, which creates a sleek and aesthetically pleasing look into a kitchen. These sinks also make cleaning countertops easier, as you can sweep food, liquids, and debris into the bowl without any of it catching on the edge or lip of the sink. Believe it or not, farmhouse sinks are making a comeback. Unlike most kitchen sinks, farmhouse sinks have the unique feature of an exposed apron front paired with a deep basin. Generally, residential kitchen farmhouse sinks only have one basin, although some are made with two. Although this sink style is used in country-style kitchens, there are plenty of modern kitchens that the addition of this sink would benefit. These large sinks are great for accommodating large pots, pans, and objects, making them perfect for preparing meals and doing dishes. Determining the right size for your kitchen sink is mostly going to depend on the space available for installation. Once you figure out the appropriate sizing of the sink, you’ll have to select the bowl configuration that works best with the amount of available space and your habits in the kitchen. The most common bowl configurations homeowners select are single, double, and sometimes triple bowl sinks. Single bowl sinks have become very popular over the past two decades due to their capacity, making it easy to place large cookware and dirty dishes in them. These sinks make large tasks, such as cleaning a wok or large cookie sheet, much easier. Double bowl sinks make multi-tasking a breeze, giving homeowners an area to wash dishes in one bowl, while keeping the other bowl free for cleaning, preparing food, and ongoing use. Two-bowl sinks are likely the most common kitchen sink configuration today, coming in a variety of sizes, styles, materials, and features. Although they are the least common out of the three, triple sinks can benefit homeowners who spend a lot of their time preparing and cooking meals in the kitchen. Triple bowl kitchen sinks can significantly reduce your work time in the kitchen by assisting with multiple tasks at once. Usually, these sinks consist of two normal sized basins and a third, smaller bowl in the middle. This highly functional kitchen sink configuration is sold in a variety of styles and materials, making it easy to find a style that fits with your kitchen aesthetics. Looking For Kitchen Sinks In Barbados? Now that you have a better understanding of the common styles and sizes of kitchen sinks you are better enabled to select the sink that fits your kitchen best. If you are looking for kitchen sinks in Barbados, turn to the remodeling experts at FiberPol! At Fiberpol, we are the leading company for kitchen and bathroom renovations in Barbados, specializing in kitchen countertop and cabinet installation. In addition, we offer a wide variety of kitchen sinks. Offering some of the best stainless steel kitchen sinks in Barbados, many homeowners turn to us when it’s time to select a sleek and modern sink for their home. Whether you are looking for a farmhouse or undermount sink style, you will be sure to find the best stainless steel kitchen sinks at Fiberpol. 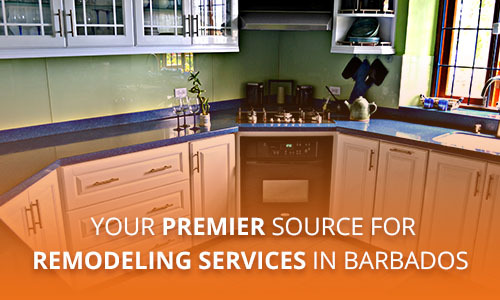 To learn more, contact our Barbados remodeling service.